Posted October 16, 2018 by Sydney Criminal Lawyers & filed under Criminal Law, NSW Courts. At around 9pm on 28 April 2016, Mr Afzal, a shop assistant at the Mini Mart on Victoria Road in Potts Point (pictured) was sitting on a crate out the front of the store smoking a cigarette, when he saw two men wearing face masks approach from across the road. One man ran past the attendant and into the shop, while the other punched him on the chin. The man who had entered the shop reappeared with money he’d taken from the cash register and six packets of JPS Superkings cigarettes. The cash from the store included a $100 note, as well as several $50 notes. These high denomination notes had been concealed in the register beneath EFTPOS transaction receipts. Those receipts had been snatched along with the money. The two robbers then ran across Victoria Road and took off down the Butler stairs, which led them onto Brougham Street below. The owner of the Mini Mart then called the police at 9.09pm to report the robbery. At around 9.30pm, Constables Anderson and Hollis stopped Daniel Holmes and his companion referred to as CC near the intersection of Best and Forbes Streets, Woolloomooloo. Mr Holmes lived on Brougham Street just 140 metres from the Mini Mart. The pair were 280 metres down the road from Holmes’ unit when stopped by police, heading in the direction of Woolloomooloo Bay. The officers apprehended the men and held them in custody overnight, on the basis that they had a reasonable suspicion the men had carried out the robbery. At the time of arrest, Mr Holmes was in possession of $460 in cash, which he claimed was money he’d been paid for working as a deckhand. Bank records later obtained by police showed that Mr Holmes had withdrawn $900 from his bank account on the day of the robbery, which had been accumulated through his fortnightly pension payment. The deckhand claim was left unexplained. One of the arresting officers noted that at the time the pair were stopped, CC was sweating and breathing heavily. He was also smoking a cigarette. A subsequent search found him to be in possession of a packet of JPS Superkings. CC was also carrying $275 in cash. On the morning after the arrests, police executed a search warrant at Holmes’ unit. Sevral EFTPOS receipts from the convenience store were located, as well as five packets of Superkings cigarettes. Mr Afzal’s fingerprints were located on the EFTPOS receipts, but Mr Holmes’ prints weren’t. None of the items of clothing identified from the store’s CCTV footage of the robbery were found in the unit. There were two other occupants present in the unit at the time of the search: one was Holmes’ brother and the other was unidentified. The pair pleaded not guilty and the case proceeded to a jury trial in the District Court. During the proceedings, Mr Afzal gave a description of the two masked robbers. Mr Holmes fit the general description of the person who stayed outside the Mini Mart while the other man grabbed the money and the cigarettes. It was significant that the clothing worn by the men when stopped didn’t match that depicted on the CCTV footage. The dark pants worn by Holmes was consistent, but nothing else matched. It was the prosecution’s case that after fleeing the crime scene, the pair stopped at Holmes’ unit where they changed and left to make their way down Forbes Street. The Crown submitted that at some time before the morning, the incriminating clothing had been removed from the apartment. On 12 October last year, a jury found Mr Holmes guilty in the NSW District Court of one count of robbery in company, contrary to section 97(1) of the Crimes Act 1900. The maximum penalty for this offence is 20 years behind bars.  Acting NSW District Court Judge Christopher Armitage sentenced Mr Holmes on 9 March this year to 3 years in prison, with a non-parole period of 1 year and 6 months. Mr Holmes appealed his conviction to the NSW Court of Criminal Appeal (NSWCCA) on 21 September this year, on the single ground that it was not supported by the evidence. The three justice panel consisted of NSWCCA Justices John Basten, Robert Beech-Jones and Helen Wilson. Their Honours explained it was necessary for the court to make its own “independent assessment of the evidence” of whether it was possible for a jury to be satisfied beyond a reasonable doubt that Mr Holmes was guilty based on the evidence. The NSWCCA “must consider and weigh up all the circumstances in determining whether there was an inference consistent with innocence reasonably open on the evidence,” the justices made clear. Their Honours gave five reasons as to why doubt was cast on Mr Holmes’ guilt. The first was that at the time the pair were stopped on the side of the road, Mr Holmes was not sweating or breathing heavily like his companion CC. Also at the time, Mr Holmes could account for the origins of the money in his possession. He also wasn’t carrying any cigarettes of the brand that had been stolen from the convenience store. A further reason for doubt was that Mr Holmes wasn’t wearing the same clothes as the offender in the CCTV footage. And finally, there was no evidence linking him to the EFTPOS receipts or the stolen cigarettes, and he wasn’t the sole occupant of the unit at the time of the robbery or on the morning after. Due to the reasons set out, the panel of justices found it was not open for a “reasonable jury to be satisfied beyond a reasonable doubt” that Holmes was one of the robbers. On 28 September this year, the NSWCCA ordered the appeal be granted. His conviction and sentence were therefore set aside. 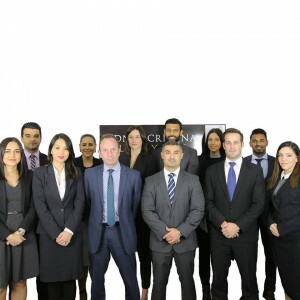 Sydney Criminal Lawyers® are Sydney's Leading Criminal Defence Lawyers, Delivering Outstanding Results in All Australian Courts. Call (02) 9261 8881 for a Free Consultation.